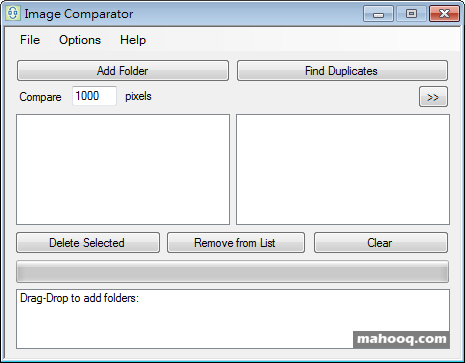 Image Comparator is an easy tool that finds duplicate image files in your system. In order to do that it looks your images pixel by pixel; therefore even if two images have different formats and file sizes(MB/KB) Image Comparator finds them. Supported formats: jpg, bmp, png, gif, tif, ico. Requirements: .NET Framework 4.0. Works only on Windows.